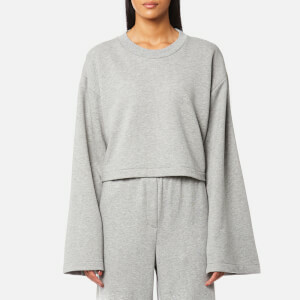 Women’s black hooded sweatshirt from London-based active wear label, Lucas Hugh. Crafted from a high-performance, merino wool blend and cut for a loose fit, the longline ‘Halo’ jacket comprises an adjustable hood with a tonal draw cord, a zip through fastening and long sleeves with elasticated cuffs. 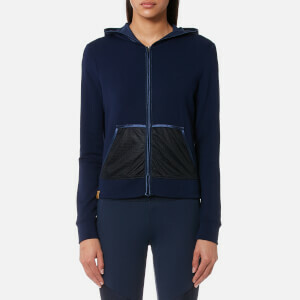 Featuring a drop hem with grosgrain taped side vents, the sweatshirt is complete with breathable mesh ventilation panels to the underarms, a split kangaroo pocket and the signature Lucas Hugh logo adorned to the chest.